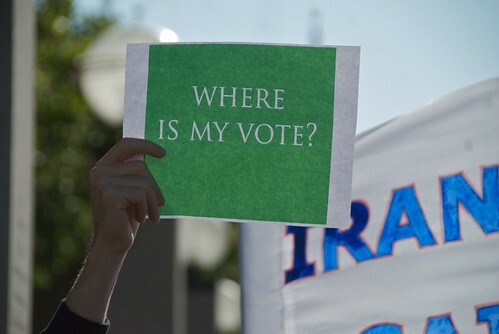 Last night as I walked down Palo Alto’s University Avenue, I encountered more protests against the Iranian elections. Huddled on Palo Alto’s cement-laden, postage stamp-sized public square – Lytton Plaza – about a dozen protesters held candles and talked to passerbys. Their message was identical to the protest a week ago: they want fair elections, not to overthrow the political foundations of the Iran regime.